Xiaomi Huami Amazfit Sports Smartwatch 2 price in Pakistan is expected to be around 18,000 only. This latest Huami smartwatch is an impressive improvement over the previous generation, especially in terms of design. Now the watch feels a little more rugged bringing users into a more comfortable zone while playing outside. More, as expected the latest watch is faster than before with high-end internals. Looking at Amazfit Sports Smartwatch 2 specs, we can find a lot of power that can offer faster performance. This is a beautiful rounded watch with sportier look and feel. It comes with a 1.34-inches display based on 320 x 300 pixels. Being a sports watch, it gives you access to eleven types of sports activities, ranging from running to swimming. 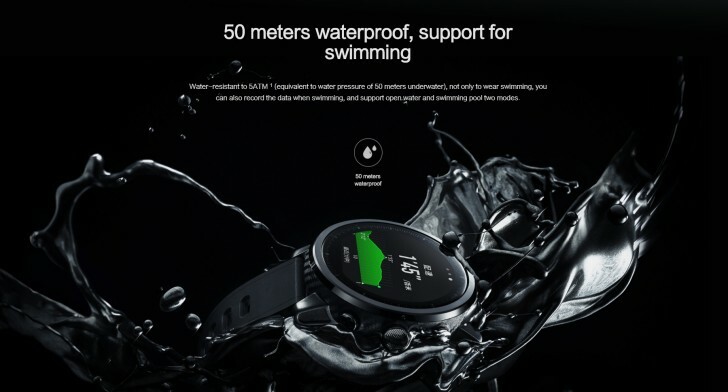 Just like other popular brands watches, this is 50-meter waterproof sports gadget. Even, the Xiaomi Amazfit Pace 2 can check whether you are underwater or not. It has 4GB internal storage you cannot expand. It has heart rate monitor and GPS-tracking as well. Interestingly, this watch offers you up to five days of battery life. With continues usage of GPS, you can have up to two days of battery life. Do not forget to check if there is a better solution to get your life comfortable at Amazfit Sports Smartwatch 2 price. We are sharing to names competing with Xiaomi watches impressively. To compare these two watches with Xiaomi’s latest watch side by side to know which one you should buy. More, you can check other available watches of the market as well.